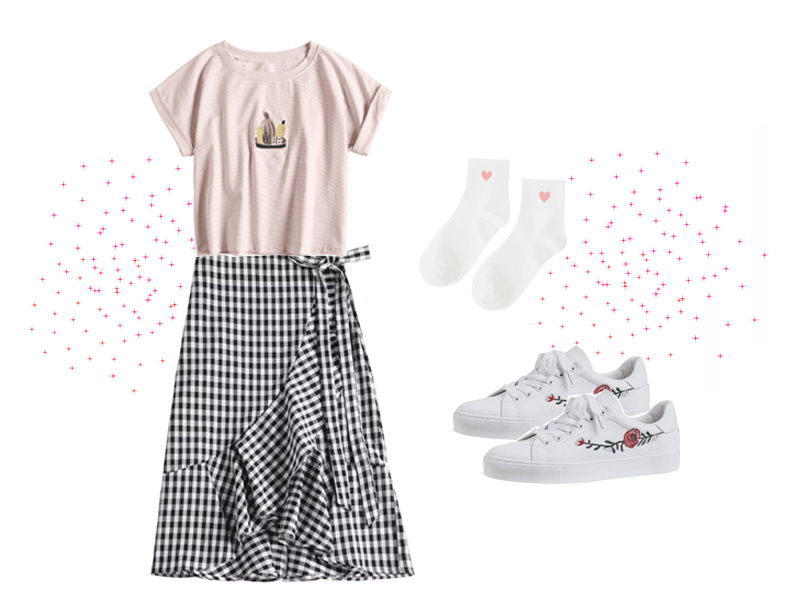 Right now I prefer this type of sets, they looks so cute and the form with the bra and the skirt is perfect for almost any body form, the good thing about gingham is that the cloth is so fresh for this warm summer or spring, and combine with anything. 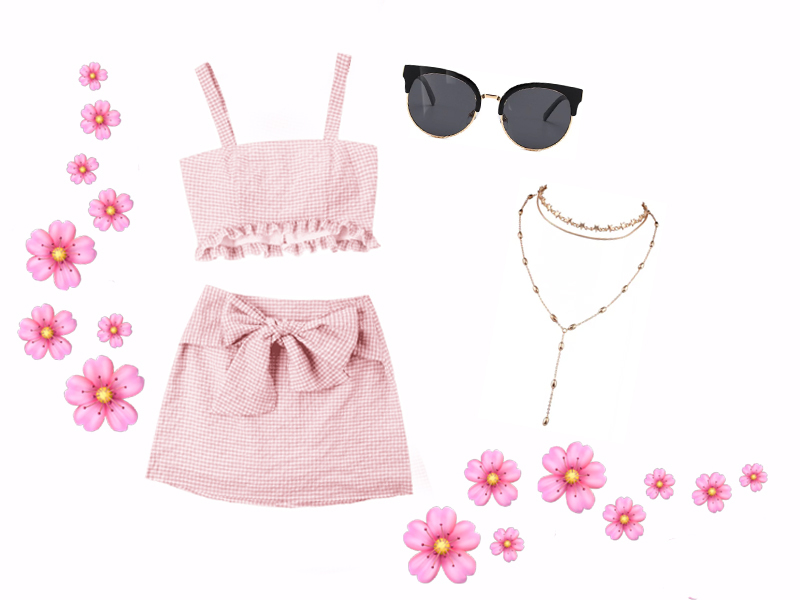 Another popolar wear is this rompers that you can find in this store with a lot of styles and sizes, this tone of blue is so cute for anybody, with this rompers you can take advantage of it looking cute with only one garment.Also I love quartz, this choker I'll buy it for sure. me han encantado los dos outfit! Me encantó el segundo! están nuevamente tan de moda este estampado y el modelo de faldas.